Windows 8 is, without doubt, Microsoft’s most ambitious release in recent memory. It does away with a lot of what users have come to expect from Windows over the years. And on Wednesday (18 Jun 2012), Microsoft announced the release date of Windows 8 as 26 Oct 2012. The company had previously announced a “late October” launch date for the new OS, but Steven Sinofsky, president of the Windows and Windows Live unit at Microsoft announced the more specific date at the company’s annual sales meeting. 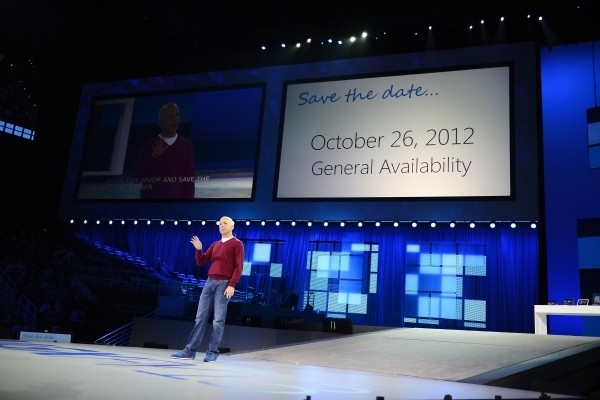 The date was updated on Windows 8′s Wikipedia page within minutes of the announcement. Earlier this month the OS-maker said those using the release preview version of Windows 8 will be able to upgrade to the final release for $39.99 using the Windows.com upgrade tool. Those that purchase a new computer between June 2 2012 and January 31 2013 will also be eligible to upgrade to Windows 8 Professional for just $14.99. While consumers have been treated to two previews of Windows 8 to date, it is likely Microsoft will leave some of the new features for the upcoming launch, and right now it’s hard to say whether further tweaks will be made to the highly controversial Metro UI before it reaches RTM. Not only will Windows 8 ship on partner devices in late October, but the company revealed that Windows 8 will, at the same time, ship in 109 countries and 231 languages.